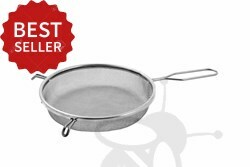 When ordering, you pay only a 10% deposit. The rest has to be paid before shipment. 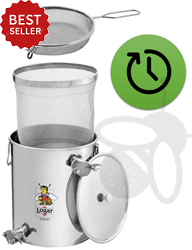 If you are not satisfied with your purchase, you can return the products within 14 days and we refund your payment. 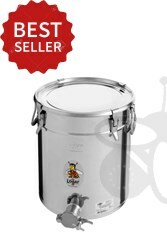 All honey extractors are tested before they come out of the factory to guarantee their proper functioning. 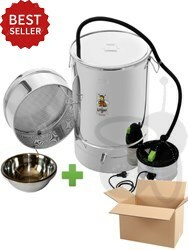 Honey extractors have up to 2 years warranty. 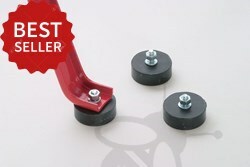 Payment by bank transfer or MasterCard, Visa, American Express (PayPal). 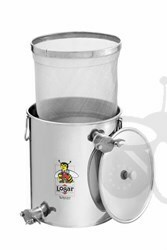 Bestseller from our large selection of logar articles. 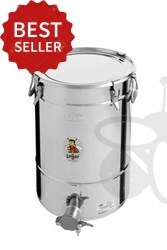 The small wax melter is suitable for hobby beekeepers and is intended for the melting of old honeycombs and uncapping wax and also for disinfecting the beekeeping tool, the equipment and the frames. A melting process for about 10-12 Zander or DNM frames (the number depends on the size of the frames) takes about 30 minutes. 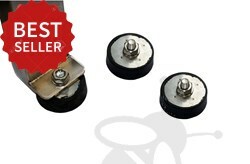 Rubber feet for extractor - 3 pcs with screws. 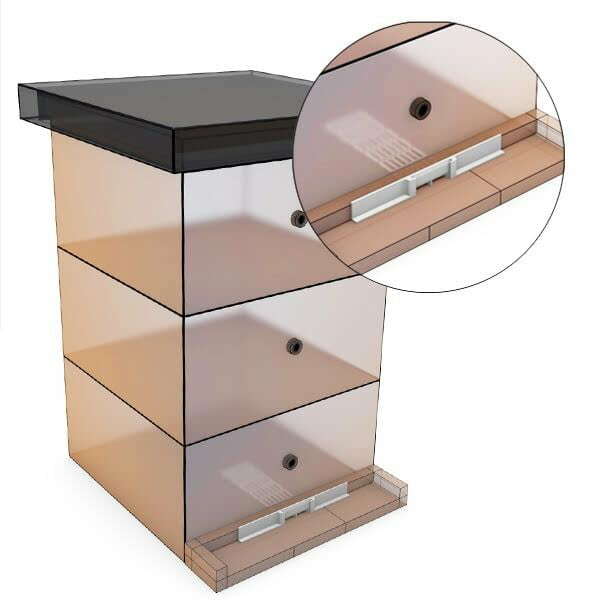 We present to you the bee corridor for preventing bee robbing, which was developed by our company. 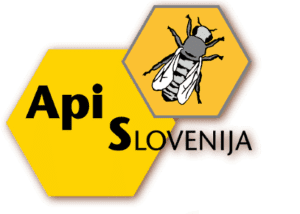 During the development of the product, we relied on a proven concept of effective prevention of bee robbing, improved it and developed an innovative product, that will be presented as an innovation at the beekeeping fair ApiSlovenia 2018. 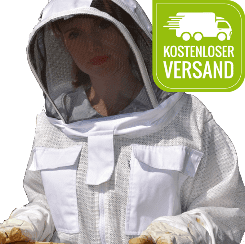 With the use of bee corridor, problems with bee robbing are gone! 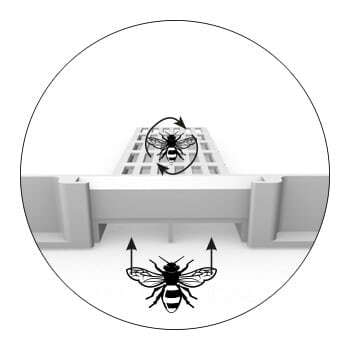 The corridor cuts off the attacker bees’ direct way to the honeycomb and disorientates them so that they rotate in a circle. This way the guard bees can easily drive them away. 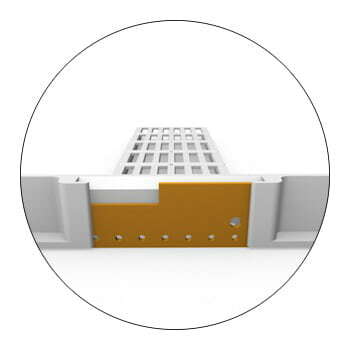 The effectiveness is additionally increased when the corridor is half closed with the closure plate. 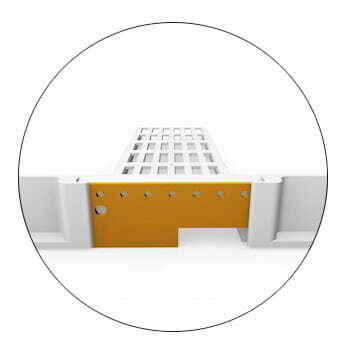 With the closure plate, the entrance to the hive can be completely closed if necessary. Copyright © 2019 Honey-extractors.co.uk. All rights reserved.